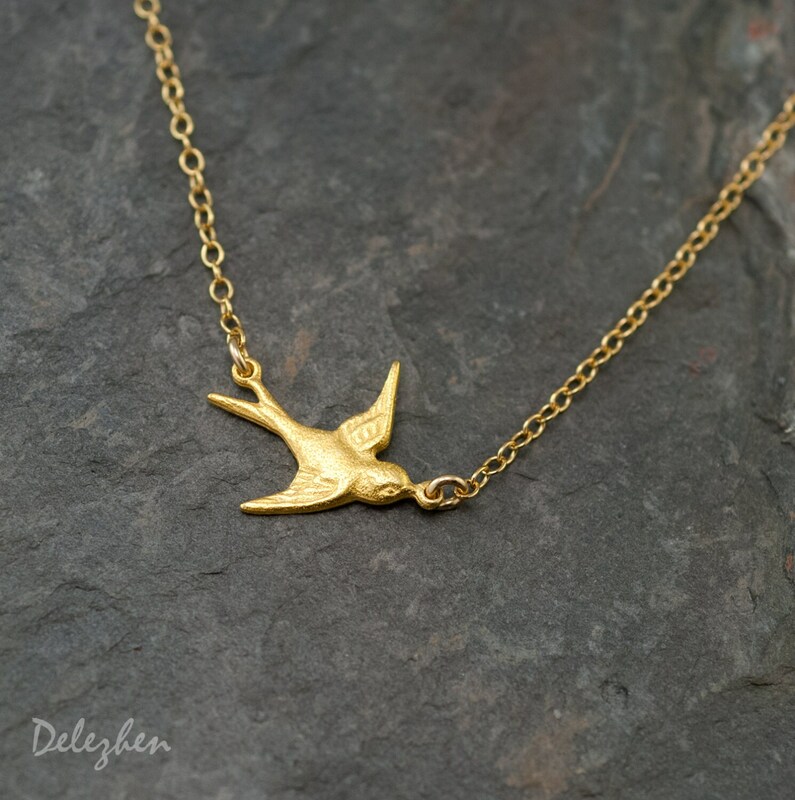 This sweet little swallow bird measures about 1/2 x 3/4" and is made from 24k gold vermeil or Sterling Silver. 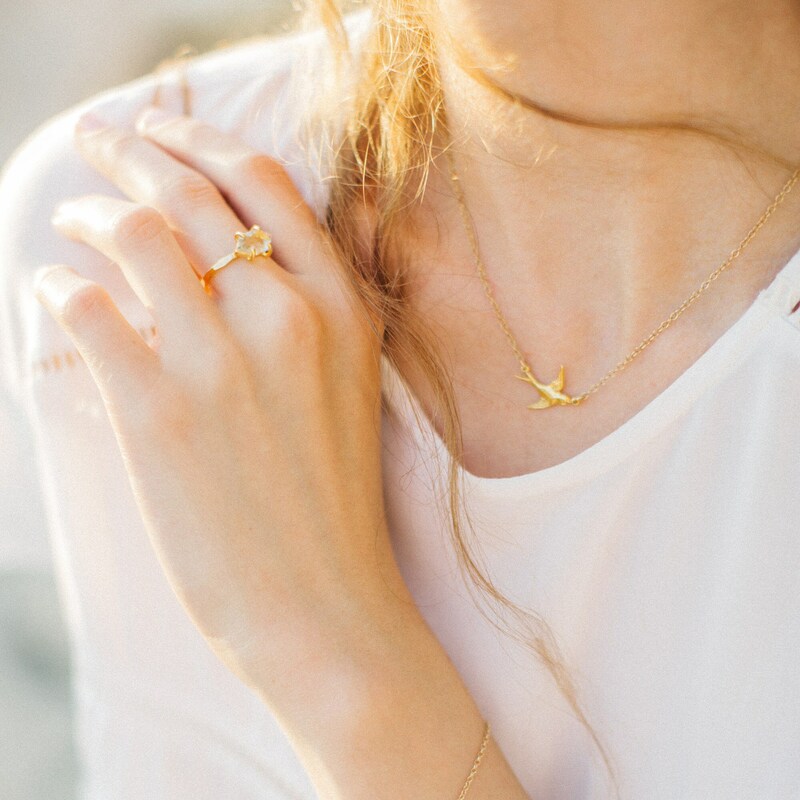 ✦ Chain and all components are 14k gold filled or sterling silver. ✦ Select preferred length from the drop down menu. 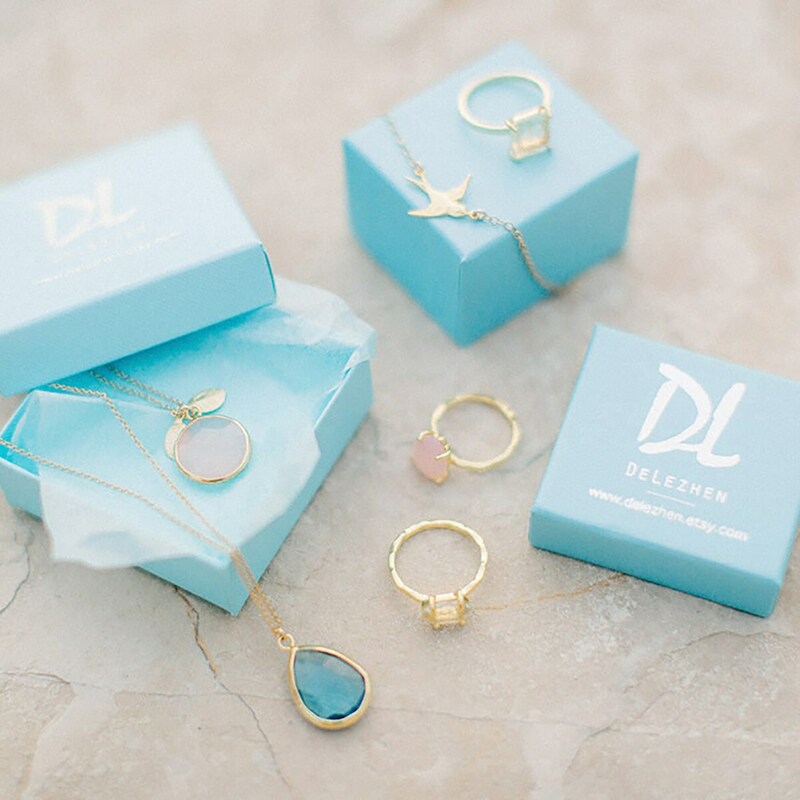 Simple and delicate, exactly what I was looking for, it’s lovely and shipped fast. Exactly as described, I love it! Very fast shipping.